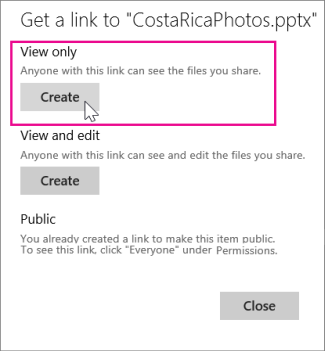 In PowerPoint Online, click the Share tab. Under View only, click Create. 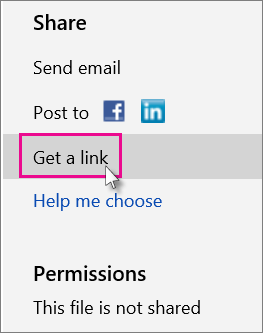 Tip: Click Shorten to decrease the length of the URL that you share with others. Right-click the URL and click Copy. Under Share, click Send email. Enter the email address in the To box. 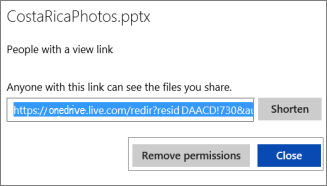 Paste the URL in the message box, and click Share. 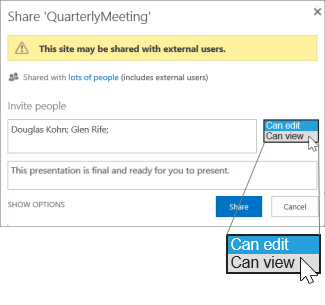 Under Invite People, type the names or email addresses of the people you want to view the presentation, and type a message. Click the down arrow next to Can edit, and click Can view. Note: The people you share the presentation with will receive an email invitation to view it.